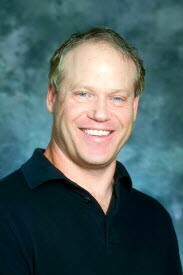 Dr. Phillips was raised in the Bay Area, and in 1991, he graduated from the University of the Pacific School of Dentistry in San Francisco. After graduation, he relocated to the charming neighborhood of East Sacramento to open his private practice. Well respected in the community, Dr. Phillips is proud to say that the majority of his patients have been referral-based. He believes that a large part of his success is due to the fabulous staff he has brought together over the years. Through ongoing education, Dr. Phillips and his team are able to offer a warm, friendly approach that is carefully combined with advanced technology that is simply unmatched. Actively involved in the local dental community, Dr. Paul Phillips has served as the Membership Chair of the Sacramento District Dental Society. He also donates his time and effort to Smiles For Life, a program that has raised millions for various children’s charities. With his wife Suzanne, Dr. Phillips enjoys all that Northern California has to offer; from lakes and trails to golf courses. He also enjoys visiting many of the local wineries and trying new restaurants.